Most World War I Chemical Munitions were designed at the former Camp American University in Washington, D.C., and produced at Edgewood Arsenal, Maryland, or a commercial production facility. Testing of World War I chemical munitions occurred at firing ranges on military installations within the United States. Occasional recoveries of unexploded rounds occur on these ranges. In addition to firing ranges, current and former military installations typically recover obsolete buried munitions. 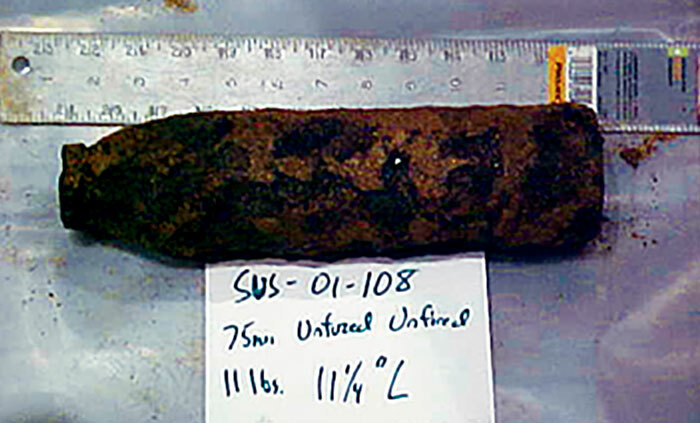 The 75 mm projectile measures approximately 11 inches long, three inches in diameter and weighs up to 12.5 pounds depending on the type of chemical agent it contains. It also includes an adapter and booster casing that screw into the nose of the shell. 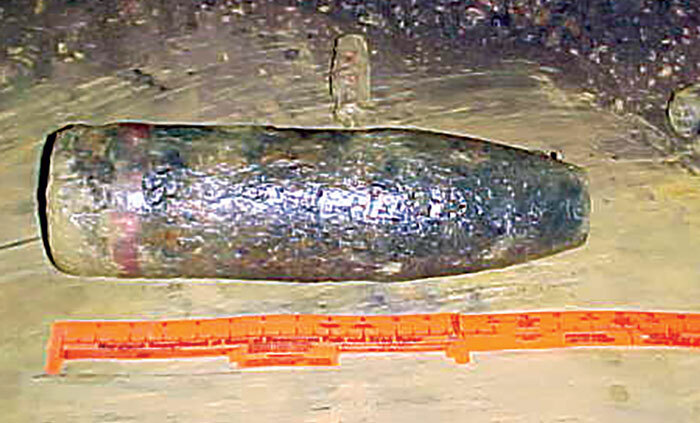 The 4.7-inch projectile measures approximately 17 inches long, 4.7 inches in diameter, and weighs up to 43.75 pounds. It resembles the 75 mm projectile.